Oakley O Frame Goggles are great for on the track and off the track riding. With scratch-free lens, Oakley has designed their Motocross O Frame Goggles to have the visibility that you need with wide-open views of the trails, and tracks. The Oakley O Frame Motocross Goggles also feature triple layer foam around the edge of the frame that is moisture wicking and will keep the sweat from running down into your eyes, not to mention fogging up your lens. So get a pair of Oakley O Frame Motocross Goggles, and you’ll already be a winner. Flexibility even in extreme cold via urethane frame construction. Comfortable and secure fit of wide, adjustable elastic strap. Minimized reflective glare via interior surface texturing. Convenience of 2-pin attachment system for tear-offs. Comfort and fit of triple-layer face foam. Scratch resistance and optical clarity of Lexan lens material. Secure and stable fit via silicone lining on inside of strap. very easy to install and seems to be working . i would buy this item again. BEEN USING O FRAMES FOR OVER 25 YEARS !!! I have the dark tint ones I love them no complaints and a good price. I have a Troy Lee carbon se4 helmet and they fit great. The Oakley fit and size is very neutral to me, fit and comfort is nice and they fit into mos helmets without any issues. Wish the foam was a bit more dense on the layer that touches the face, it seems a little flat compared to other manufactuers. Overall a good value and replaement lense options are vast. Great priced goggle, lens can be a little dark in the evening when in the shadows. Great color combo choices. Fit well with a large adult helmet. May not fit if the helmet was any bigger. Daughter likes them and says they are comfortable. I love my goggles !! They are perfect and match my helmet perfectly !! These goggles have cool color. I hope they hold up. I love them. Bought 3 sets. I have tried just about all the other brands, and they all start off good. At the end of my trail rides, where we may STOP several times,the Oakley O frame goggles stay on my face and helmet where I put 'em. That means I can breathe through my nose, and not take my hands off the bars to move my helmet so I can get a breath.The lenses work great, and they are very comfortable, all day. Perfect.Fits great. Great fit with my helmet. These are a comfortable option for those of us with big nose syndrome that wont break the bank. I love these goggles. They are well designed and provide a great field of view. They have been produced for years, this make it easy to get replacement lenses for them. They are reasonably priced and look outstanding. The foam feels great and they fit snug and contour well to the face. I would recommend these over some of the overpriced vanity goggles on the market. Great goggles and great fit.My last pair was just as good. Bought some Fox goggles but the fit and feel is not as good as these. Great goggles-no dirt in my eyes and extra clear lenses. They are also extremely comfortable. Good lightweight goggle. O frame has been around a while, numerous lens available. Great fit, zero complaints. I've worn these goggles for many years and they have always been great! They're very comfortable, they last a long time, easy to change the lens, very clear and look great! Best giggle for helmets with a small eye port (6D in my case). They have a smaller frame that fits nicely in smaller eye port helmets and doesn’t push down and pinch your nose. Very comfortable, fits well I enjoy them perfect look with my bike and riding gear. I love wearing them protect my eyes when riding took on alot of dirt held up great! Great Goggles for A great price. If you’re looking for a decent set of goggles that won’t set you back over $100, these are great. Bought these off of others reviews due to the fact that a lot of goggles on the market push down pretty hard on my nose area making it difficult to breathe through my nose. The smaller frame on these fixed that problem for me. These goggles are great. You don't really need to spend the extra money on more expensive ones. The triple layer foam keeps sweat out of your eyes, even on very hot days. Goggle frames are very durable. Still using the same frame I purchase in 2009. Lenses do get scratched up over time. Probably a good idea to buy spare lenses. I am on my third lens since 2009. I just recently purchased a second pair of frame/lens, just so I could have tinted and non tinted sets. There are newer goggles with more features but if you want a classic goggle that gets the job done well, O frames are the way to go. I've had about seven pair. Foam stays intact. The lenses are durable and easy to change. The strap stays strong and looking good for years. Solid goggle choice. Bought for the old lady to ride the pitbike, she likes them. I run Oakley crowbars. I love how the goggles fit! I've always been a fan of Oakley. Great goggle at a nice price point. 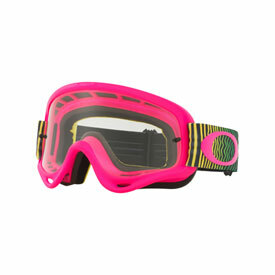 Goggles hold up well and parts are available for replacement lenses and tear offs. These are a must have if you are either tearing up the dunes or dirt!! Fit is great. Cheaper version of Oakleys. Same design has been around for years. RMC has the best customer service. Just fit right everywhere and don't have a bad trait. Used these for years and have tried many other models and other brands, always come back to these. Tear offs are great too, they don't flop around and make noise and fit tight on the lens. You forget you have them on and that's a good thing. We have 3 pairs of these and they are a good goggle. they are comfortable, the price is good, and the lenses are easily replaced. The lenses do scratch somewhat easily on the inside, but every goggle I've ever owned have also. The lenses are easily swapped out with new ones. Great goggles. They hold up about the same as others w/ regards to scratch resistance. Never had any issues .very clear .hold up well.good ventilation and sweat absorbing .only goggle I will ever buy.the view is wide . Received these on closeout at Christmas. Turned into a great pair of goggles. Strap is a little tighter around my helmet than other pairs I've had before, even with it extended all the way out. Regardless, would buy again. Yeah, it's a bit more expensive because you're paying for the brand. But goggles are important and you need to feel comfortable protecting your eyeballs, so I say enjoy a nice quality product that you'll feel better when you ride. 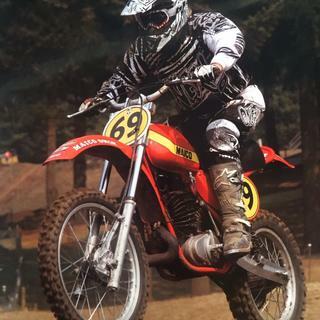 The Oakley O Frame goggle has worked well for decades. It is great. I like the "sticky" rubber strip on the underside of the elastic band that holds the strap in place. Changing out lenses isn't super easy, but it isn't rocket science either. The selection of lenses is excellent. These goggles don't seem to fog as easily as the MSR and Flys I've used. like i said great pair of goggles for the price! but they are a little small looking on my helmet (its a medium fox helmet). other than that they are great! Bought these goggles at the beginning of summer, so far i love them. I also bought a replacement lenses that was tinted, highly suggest. Very easy to swap the two out. Will buy again. Ordered for a friend and he loves them. They can bend in half and not break (I still wouldnt suggest trying that) and they look cool! I only wear the O frame goggle. They're affordable, fit great, and last a long time. I've had friends who buy the more expensive ones like the crowbar and some others say that after trying these they will stick with them. doe's raceready mean it comes w/roll-offs & nose guard? i have o frames, curios are they going to be getting rid of the o frames? BEST ANSWER: The o frames have been around for ever, and they're still coming out with new colors for them. They're a super popular goggle. I don't see them going away.